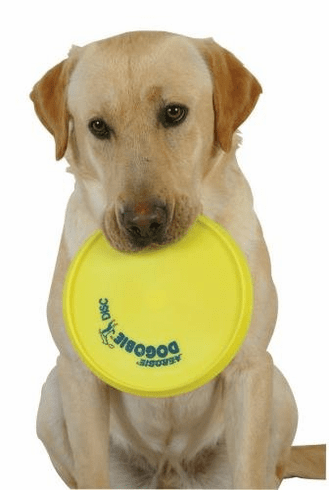 This Dogobie Disc features aerodynamic design for effortless long throws, and is puncture and tear resistant for greater durability. Made from a flexible material which is gentle on a dog's mouth and easy to pick up. It can even float so you can play in or near water. Available in blue or yellow; colors easily seen by dogs.